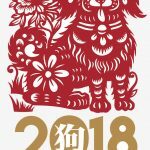 The Hong Kong Optical Exhibition of 2017 marks the end to our 2017 Exhibition showcase. 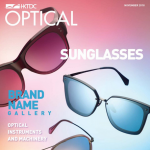 It has been an eventful year and a great pleasure meeting all of you at the Hong Kong Optical Exhibition this year. Every year during our travels, from Vegas to New York to Milan, we not only get to meet great people but also to listen to their perspective on the eyewear industry. Through close interaction with to our clients we are able to design products tailored to their needs but also up-to-date with the social scene. 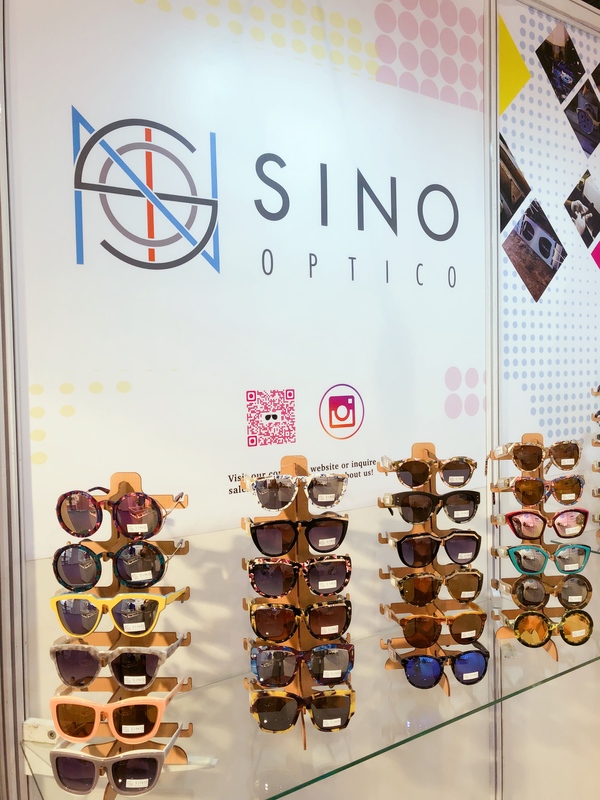 This year at the Hong Kong Optical Exhibition we showcased our latest SS18 fashion sunglasses collection and our latest development of functional eyewear aimed at optimising eye health and efficiency in wear. The ACE collection is designed to “role play”. 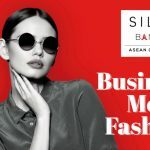 In the competitive market today we are constantly offering multi-functional eyewear that allows our business partners to offer their end consumer the most desirable eyewear solution. With the first look, our classic vintage pieces on top of frame allows you to achieve the leisure and effortless appeal. When you feel it’s time to spice up your look, you can freely remove the eyebrow piece and turn your eyewear into a “naughty cat-eye” metal sunglasses. 2 in 1 design is the perfect accessory providing your client with the sense of satisfaction in DIY and enhances their creative experience with eyewear. This year at the Hong Kong show many of our clients have shown great interest in this technology. 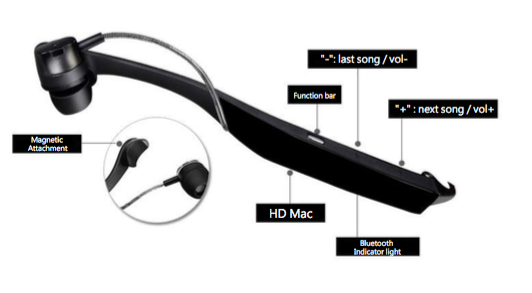 With our magnetic headphone attachment function we offer easy access to the use of headphone on the road. Perfect sound quality providing the most efficient “hands free” device that can be paired with any system (IOS or Android). 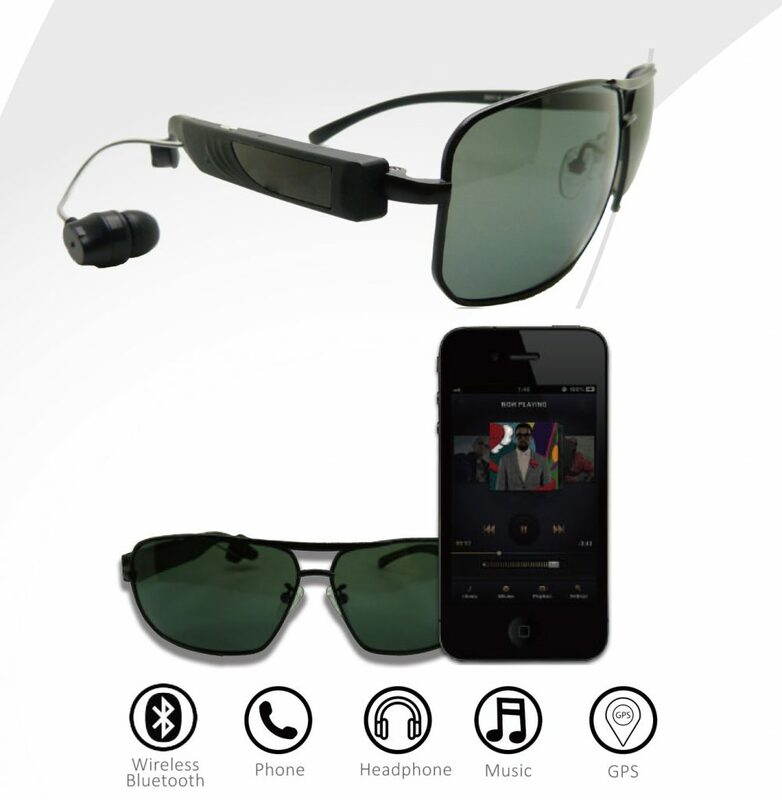 Not only can our bluetooth eyewear be used to pick up calls, but it can also be used as a music player so you can enjoy music anywhere, anytime you want. As we are combining hands free device with eyewear, therefore, you still need to be aware of the surrounding such as car horn or bicycle bells so that you are able to respond immediately. 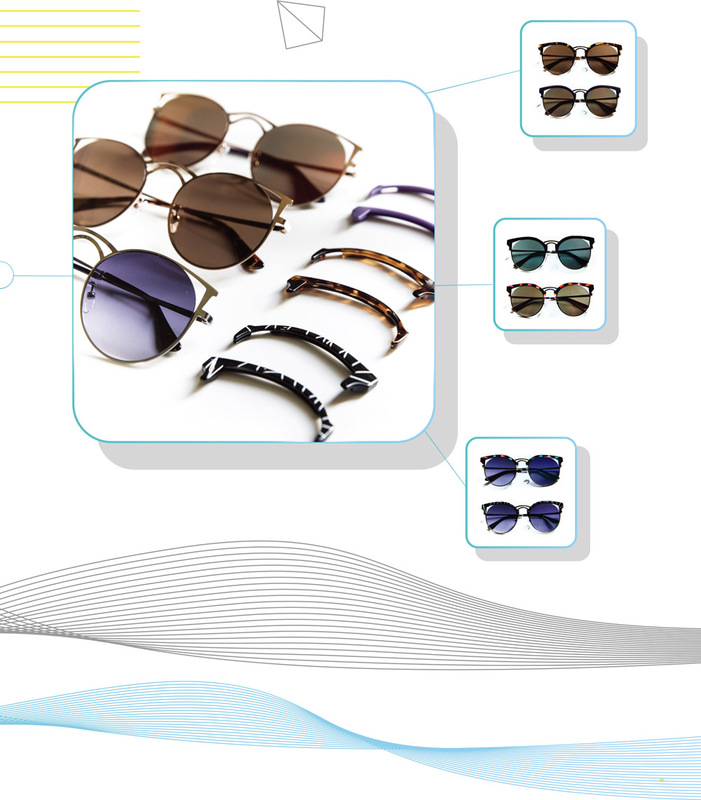 We not only have metal sunglasses designs which can be made with bluetooth function, other injection models such as wayfarer, cat-eye or classic square frames can also be customized. If you would like to learn more about our latest products, please do not hesitate to contact us today!